Prompted by President Trump’s alleged comments about Haiti being a “s***hole,” Judicial Watch’s Tom Fitton took to YouTube this week to go over “document after document,” proving the Clintons have been “looting and abusing,” Haiti for years. Fitton’s report underlines the country has been going through strife, in part, due to the Clinton Foundation’s role in rebuilding Haiti after the 2010 earthquake. In the video above, Fitton references a Judicial Watch report from July 2013, revealing “Roughly half of the $1.14 billion that the U.S. government allocated to help Haiti recover from the 2010 earthquake,” went towards wasteful and outright failed projects. 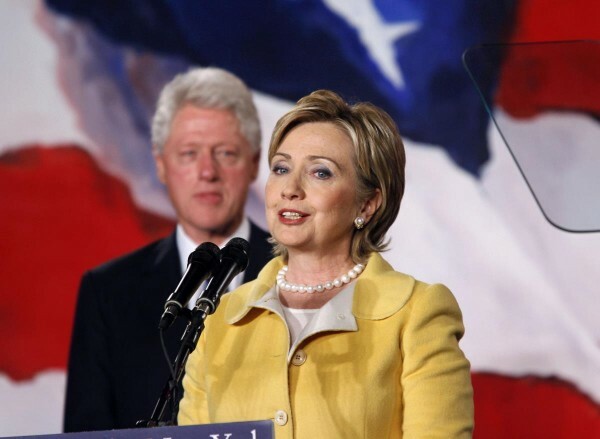 A whopping $170.3 million was blown on a disastrous port and power plant project that was “heavily promoted” by former President Bill Clinton and his wife, then-Secretary of State Hillary Clinton. “You can have 17 special prosecutors looking at the Clinton-Haiti angle,” concluded Fitton at the end of the four and a half minute video. The investigation focused on $651 million that American taxpayers have given Haiti via the United States Agency for International Development (USAID) since 2010. Deeply ticked off about the accusation, Bill Clinton took to Twitter to dispel the news. “No Clinton Foundation funds—dedicated to Haiti or otherwise—were used to pay for Chelsea’s wedding. It’s not only untrue, it’s a personal insult to me, to Hillary, and to Chelsea and Marc,” tweeted former President Bill Clinton. Was the Clinton Foundation caught red handed by WikiLeaks, once again?